Robert Minhinnick is the reason why I suggested to Cathy at Mid Wales Arts Centre – that we run a poetry festival (with music and art) – to celebrate the ten years that Mid Wales Arts has existed! Ian McMillan missed not just his own train stop when reading The Diary of the Last Man – Robert Minhinnick’s 2017 TS Eliot-shortlisted book, but several. I can understand that. I could hardly breathe reading his poetry – which is spare with its language but filled with imagery and profound truths. 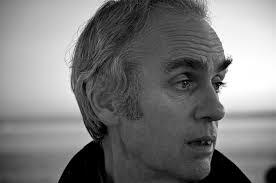 Robert Minhinnick’s ‘Diary of the Last Man’ (Carcanet) appeared in 2017 and was shortlisted for the TS Eliot prize, 2018. Seren publishes his novels, short stories and essays, including ‘Limestone Man’, ‘The Keys of Babylon’ and ‘Island of Lightning’. Carcanet published his ‘The Adulterer’s Tongue’, translations of six modern Welsh language poets, in 2003. He was editor of ‘Poetry Wales’ 1997 – 2008 and is an advisor to the charity, ’Sustainable Wales’ www.sustainablewales.org.uk He lives in Porthcawl and published ‘Fairground Music: the World of Porthcawl Funfair’ (Gomer) in 2010. He is collaborating with Park6 films on a film of ‘Diary of the Last Man’, to be screened in Hay, Stratford-on-Avon and Edge festivals this year. Readings by T.S.Eliot shortlisted Robert Minhinnick, Welsh language Menna Elfyn who Robert has translated, and the extraordinary voice and presence of Diane Drummond – with friends. He is one of Menna Elfyn’s regular translators too so we will have the privilege of hearing both poet and translator read some of Menna’s poetry as well as Menna herself read English translations. Menna Elfyn is an award winning poet and playwright and the most translated and travelled of all Welsh poets . She has written plays for television and radio and is the author of over 20 books. 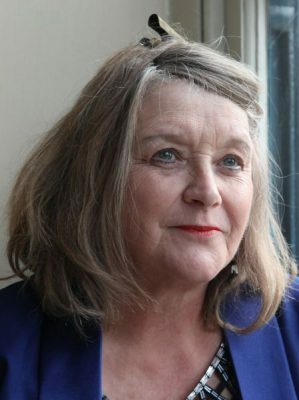 She is the first woman to be made Professor of Poetry & Creative Writing at University of Wales, Trinity Saint David; and is Honorary President of Wales PEN Cymru. Again – a master of words and truths and images you will dive right into. Diane Drummond has the most amazing voice, and a generosity in her performance that you will be able to relax into – but not for long – you may cry, you may dance, and if you are like me you will most certainly whoop! Joined by fellow musicians Peter Ryan on bass guitar and Marc Estibero on acoustic guitar. All 3 are accomplished musicians, sharing a love of their own personal styles added to their favourite songs. The band plays and sings contemporary jazz, blues, gospel, soul, folk and all in between. 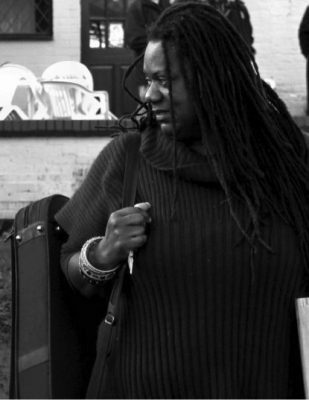 Diane’s voice has been described as a fine smooth and velvet chocolate with her own added notes in between. Photos of Inspired in Caersws festival! Meet David Calcutt: April 22nd at Mid Wales Arts!